FarEye wins "Oscar for Logistics"
New Delhi, India, June 8, 2017: FarEye, a Global Logistics Management Solution has claimed top honors at the World Post & Parcel Awards, 2017 which were held at the Hotel du Collectionneur, Paris on June 7th, 2017. Often, regarded as the Oscar for Logistics industry, World Post & Parcel Awards celebrates the successes of the emerging talents in Mail and Express industry across the globe. Kushal Nahata, Co-founder & CEO of FarEye and Gaurav Srivastava Co-founder & CTO of FarEye were present at the gala evening to receive the prestigious award on behalf of the entire FarEye team spread across various countries. Gaurav adds, “FarEye has been revolutionizing the supply chain operations for enterprises by empowering deskless workforce and reiterating success stories across the industry verticals. As a multi-lingual mobile product with a process engine to adapt to geographic-specific logistic processes, FarEye’s platform is catering seamlessly to the international demand. We are delighted to be listed as the global leaders in history and this award is a testament to our offerings." FarEye’s intuitive dashboard delivers complete visibility to CxOs helping them enhance their customers’ experience and deliver their brand promise ‘real-time’. FarEye’s solution is transforming the operations through its intelligent dispatch and machine-learning algorithms and empowering the enterprises by providing them a competitive edge. Through artificial intelligence capabilities and smart analytics, the brands can enhance their customers’ experience with updates on the go. FarEye created world’s first Business Process Management platform for Logistics operations to optimize the supply chains, bring in visibility and provide deeper analytics into the processes. We have been helping companies execute approximately 1 Million transactions per day thus increasing the first-time attempts by 25%, reducing the fuel expenses by 28% and increasing the customer visits by 66%. 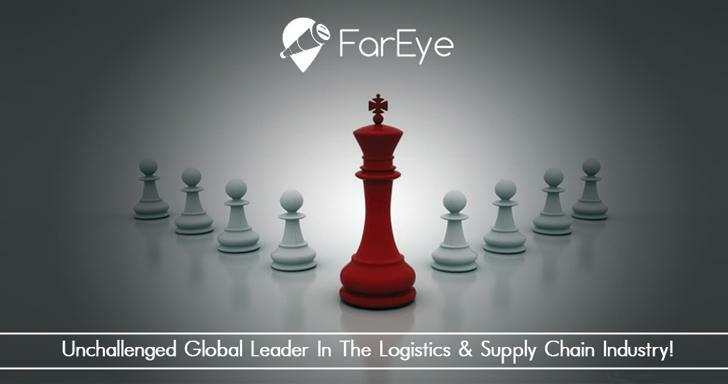 FarEye brings the expertise of working with larger enterprises across the industry verticals including Express, Supply Chain, Retail, Financial Services and Pathology. The logistics management solution has been empowering the likes of DHL India, Zalora, Walmart India, Hero FinCorp, Amway India, Hitachi, Bajaj Capital and over 75 large organizations across 15 countries globally. FarEye had raised Series A funding last year to cater to overseas demand with offices in Dubai and Singapore. Forecasting the demand from developed markets, FarEye has already expanded in US and Europe with some of the large enterprises on board and in parallel running multiple pilots for others. 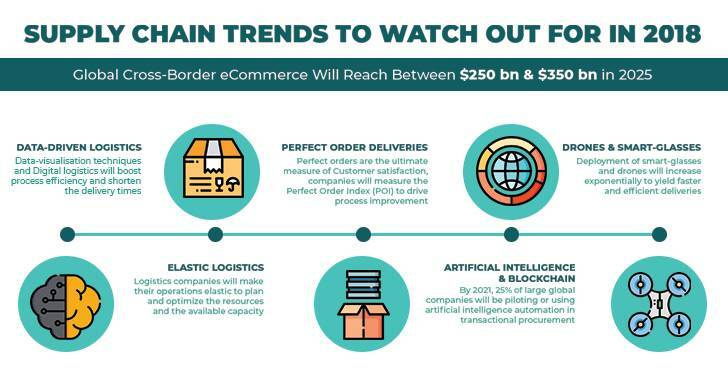 Rising cross-border growth coupled with the advent of new-age technologies Artificial Intelligence, digitalisation and predictive analytics along with anticipatory logistics is making the logistics space exciting for 2018. We have summarised the way the Supply Chain and Logistics will shape up in 2018.